Discover a beautiful needlework technique from the 1930s and '40s -- Swedish Weaving and Huck Embroidery! Learn how to embroider 16 beautiful outline and decorative stitches while creating 12 seasonal projects for home and holiday decorating! 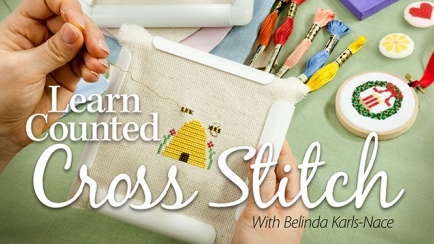 Stitch-by-stitch, you can learn how to create beautiful needlework pieces! How to work counted cross stitch. How to embroider a dozen popular stitches including French knots, satin stitch, lazy daisy and more. 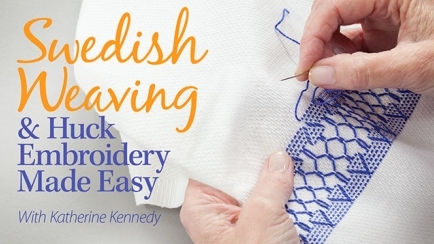 How to stitch Swedish weaving and huck embroidery. Each needlecraft class is taught by expert instructors and designers. 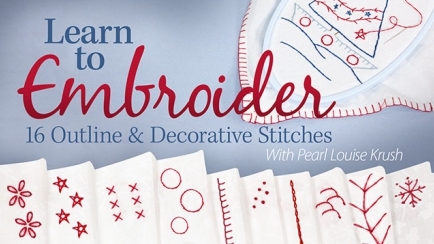 Try your hand at a traditional needlecraft with an Annie's online video class or DVD, and discover a new favorite hobby today!